With the recent resurgence of vinyl, it’s become increasingly easy for a newcomer to enter the world of hi-fi audio with a wide selection of turntables available at inclusive prices. Whether you’re looking to purchase your very first record player, or are just looking for your next one, there are a number of factors to consider when shopping around. 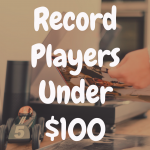 Below, please take a moment to check out a handful of popular and very affordable record players that are currently on the market today, and see how some of them compare to the turntables we’ll discuss today. Now let’s begin with the U-Turn Orbit—a turntable assembled in the United States. The Orbit offers a base model that starts at a friendly $179. U-Turn is an American company of audiophiles that make equipment for audiophiles. They put each of their turntables through a rigorous inspection process to ensure quality and offer a two-year warranty just incase any issues do arise. The thing that separates this turntable from others at a similar price is the ability and ease of upgrading. U-Turn offers a number of different options to customize the turntable when purchasing, or later on. They offer various cartridges, platters and colors, along with the option to include a built-in preamp and cue lever for added prices. Each model is belt-driven, but the base model is completely manual and includes an Audio-Technica CN5625AL moving magnet cartridge with diamond-tipped, conical stylus and aluminum cantilever, all pre-calibrated and installed, making it ready to rock & roll straight out of the box and intuitive to use. The plinth sits atop 3 solid rubber feet ensuring minimal external vibrations and helping to avoid skips and other distortions in playback. The Orbit utilizes an external belt drive that minimizes noise from the AC motor, which is mounted on the back corner under the plinth and provides consistent speeds. The speed can be switched from 33 to 45 RPM by shifting the belt along a groove in the motorized pulley while remaining snugly wrapped around the platter. Its minimalist design and bold color options stand out on the shelf and make it unique and easy to identify among competitors. 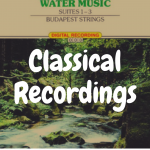 It can be purchased easily directly from the manufacturer, or in record and audio stores. You can read our in-depth review of the U-Turn Orbit here! 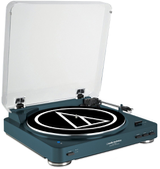 The AT-LP60 BT sells at an identical cost to the Orbit at $179 and can be easily purchased on Amazon, directly from Audio Technica or found in stores. 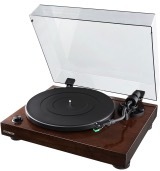 However, this turntable provides fully automatic operation at two speeds: 33-1/3 and 45 RPM with a unique Bluetooth pairing feature that will allow you to connect to compatible speakers and other equipment wirelessly, but also includes RCA outputs. Additionally, a switchable built-in pre-amp allows it to be connected with wires to other components regardless of a dedicated turntable input, which is very handy. Its die-cast aluminum platter offers low resonance and the included dual moving magnet cartridge offers a solid starting point with a stylus that can be upgraded later on to improve sound quality. These flashy features are otherwise difficult to find at such a low price and can be useful depending on your current or desired setup. All of this is neatly tucked into a compact, unassuming package that in itself is not as flamboyant and provides a simpler look. You can read our review of the Audio-Technica AT-LP60 here. The 990 is a modern version of Pioneer’s flagship PL turntable that has been around, and evolving, for decades. It is retailing at $119.99 and easily found on Amazon and through other major retailers, directly from Pioneer and trough record and audio stores. Pioneer has tackled the problem of affordability by stripping down many of the features that can be categorized as unnecessary or luxuries that can quickly increase the price. However, they’ve managed to refrain from cutting back on sound quality and this turntable still is able to provide fully automatic operation in 2 speeds. This makes it easy to use whether it’s your very first turntable, or a nice feature to cut down on your work if you already know what you’re doing. The 990 features a low-mass, straight tone arm that is very sensitive and resistant to resonance, allowing the stylus to track vinyl smoothly. It also offers a universal cartridge connector, allowing users to upgrade to any cartridge they wish, along with included phono EQ for high quality sound performance. Though it is a modern turntable in most senses, its design hasn’t changed much from the earlier PL models. Depending on your tastes, this ode to retro looks can be a positive, but if you prefer a more modern aesthetic, this may not be the turntable for you. 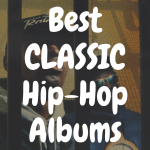 You might enjoy our article entitled: What’s the Best Pioneer Turntable? This turntable is another modern take on a vintage turntable that can be found for $125 and offers some unique features for its price point. It operates at 3 belt-driven speeds, 33-1/3, 45 & 78 RPM for some added versatility and boasts a built-in phono preamp, allowing users to connect directly to powered speakers. In addition to the analog phono/line output, a USB port allows this turntable to be connected directly to a computer, allowing you to convert vinyl to mp3, which can be handy depending on your desired usage. It is only semi-automatic however, meaning you will need to some of the work yourself, positioning the moving magnet cartridge, and then returning the lightweight tone arm to the side once a side of a record has ended, but it will lower itself onto the record slowly and gently. An anti-skating system helps to prevent tracking errors. Additionally, the thick composite wooden plinth offers a stylish, modern design that you can be proud to showcase and helps to control resonance and minimize vibration. Unfortunately, the included cartridge is fixed in place and cannot be swapped, which is a considerable downside and limits the user’s ability to upgrade. It can be found easily online or in store and provides adequate sound quality for a low price. 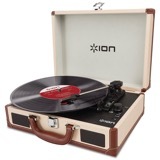 At just under our budget, this $199 turntable is a great starting point for vinyl enthusiasts. It is another USB turntable built in the US and France and even includes a copy of Audacity, allowing it to be used easily for DJs or for those looking to convert their vinyl collection to mp3. It features a quiet, 2 speed motor and belt drive and a thick, glossy black plinth along with aluminum die-cast platter also help to minimize vibration and extra noise. The static balanced S-shaped tonearm with detachable head shell and included Audio Technica AT3600L moving-magnet cartridge are quality features for this price and equate to a rich sound quality that can be upgraded at a later date. The tone arm also offers a nifty +/- adjustable pitch control. Anti-skating control also helps to contribute to increased stereo balance. It has a sleek, modern aesthetic with shiny metallic components set against the glossy black for a versatile look. It’s easy to set up and intuitive to use for beginners and veterans alike and is readily available online or in stores. Though Crosley is typically a name that makes audiophiles cringe while picturing their low-end, portable suitcase style turntables and their tendency to damage records, the C200A is a surprisingly high-quality model just within our price range at $199. This turntable features a direct drive providing high torque and speed accuracy at 33 1/3 and 45 RPM. Though it does include a nice start/stop control, it is otherwise fully manual. The damped, die-cast aluminum platter and balanced s-shaped tone arm with hydraulic lift control, anti-skate, height adjustment, and lockable rest all contribute to impressive tracking. Additionally, the 1/2″ mount universal head shell with preinstalled Audio Technica cartridge make for a great starting point for sound quality that can be upgraded later. The built-in, switchable phono pre-amplifier is another nice feature that can prevent you from having to buy an extra component and allow for easy set up. A sleek, black plinth along with the aluminum platter and metal tonearm provide for a modern aesthetic you’ll feel free to show off and it is readily available online or in stores where audio equipment is sold. A nice pair of speakers is all you’ll need to get this record player rocking and it is built to last. Fear not, Crosley skeptics. The T62 is widely regarded as a great entry level turntable at around $160, its fully manual operation, direct drive, high torque output and straight tone arm make it very functional for DJing or sitting on a shelf at home. DJs love the 2 start and stop switches making it perfect for mixing, scratching and battling. The T62 offers a 10% pitch control fader and tracking force range from 0 to 4 grams allowing users to adjust how much pressure is being applied to the vinyl, which comes in handy if replacing the cartridge. The included Stanton 300 cartridge is a good starting point and it comes pre-mounted on the head shell for easy set up out of the box. It definitely looks like a turntable that was meant to be used for DJing with big, flashy Stanton logos on the front and sides of its compact package, which can either be a pro or a con depending on your tastes. This turntable can be a bit more difficult to find, but it is available online and you are more likely to find it in stores that sell DJ equipment than typical audio retailers. 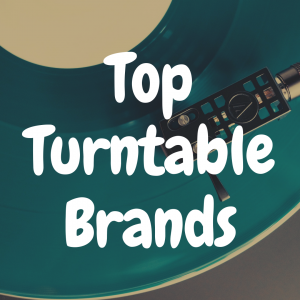 The JTA-230 is one of the best-selling turntables on the market. Its low price of $50 and included stereo speakers make it a great choice for those just looking to dip their toes into the world of vinyl without making a huge investment. This turntable is all you’ll need to play records, but can be paired with extra components like speakers, preamp and receivers for higher sound quality. It is belt driven and operates at 3 speeds for added versatility and features a USB port to transfer your music from your turntable to computer and includes software for converting vinyl to mp3 and editing on the computer. It also provides aux and headphone jacks, so you can listen with headphones directly through the turntable or play mp3s through the included speakers. It includes pitch and tone controls along with a control to switch speeds easily. It isn’t flashy, extravagant or all that pretty, but it is a compact package with no nonsense and can be found very easily wherever record players are sold. Cheaper record players can be prone to damaging records, so playing expensive or sentimental vinyl may not be a great idea, but if you’re looking for a turntable to get you started with a modest collection of vinyl, this is a great choice. You can read our full review of the Jensen JTA-230 here. Though Denon isn’t the flashiest of brands, the DP-29F includes everything you need to spin in style at a friendly price of $150. Its sturdy construction is durable and built to last and it offers very stable, belt-driven rotation to spin accurately at the desired speed. It is fully automatic and includes a built-in phono preamp, equalizer and a dynamically balanced straight tonearm so it’s ready to go right out of the box. It is equipped with a Denon DSN-82 moving magnet cartridge, which offers a higher sound quality than many similarly priced record players. The DS servo motor is also known for its quiet operation. Its rigid die cast aluminum construction is minimalist but looks clean and professional on the shelf. 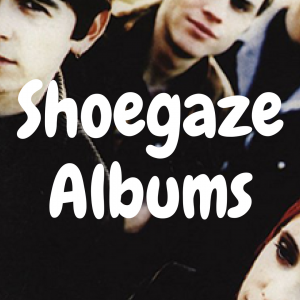 It is readily available online or wherever turntables can be found. Just under our budget at $199.99, the RT80 offers a great value for the price. Fluance is a Canadian company that is typically known for their speakers, but their turntables are also gaining attention as of late. This turntable is belt-driven and features a high-quality Audio Technica AT91 cartridge with diamond-tipped stylus to track the grooves of your records with precision and accuracy. The included balanced aluminum S-Type tonearm allows the stylus to press just deep enough into the grooves resulting in high quality audio output. The plinth is glossy black but can be upgraded to walnut wood for an additional $50. Isolation feet & an aluminum platter equate to minimal vibrations and low resonance. It also features a Texas Instruments preamp, ground terminal and gold-plated RCA line outputs for warm, true sound quality that you would come to expect from a more expensive record player. 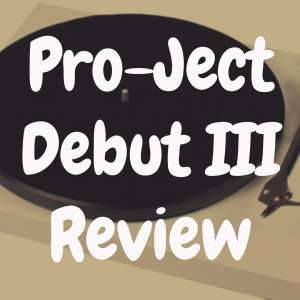 It is readily available online and in stores and makes for a great beginner turntable. You can read our review of the Fluance RT81 here. What’s the Best Record Player Under $100?